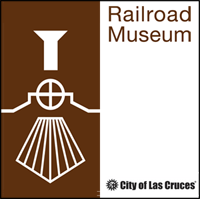 The Las Cruces Railroad Museum will offer several modeling classes this summer in conjunction with Blue Star Museums. Blue Star Museums, in partnership with the National Endowment for the Arts, Blue Star Families, the Department of Defense, and more than 1,500 museums across America, will be offering free admission to all active duty military personnel and their families from Memorial Day through Labor Day 2014. There is never an admission charge for the Las Cruces Railroad Museum. However, to honor our men and women serving in the nation’s armed forces, our modeling classes will be offered free to them and their families. Modeling classes will be offered from 9 am – noon on Saturday, July 19 and Saturday, July 26. Participants can take one or both of the classes; different techniques will be demonstrated at each class. Classes are open to the public, free to eligible military families, and $5.00 per participant for non-military. Class size is limited. Registration must be completed by the Thursday prior to each class. Parents and children over the age of 10 are encouraged to attend together. Children taking the class without an adult must be at least 12 years old. Participants will complete and take home a module with track, landscaping, and a rail car. For more information on this event, please contact Joanne Beer at 575-647-4480.